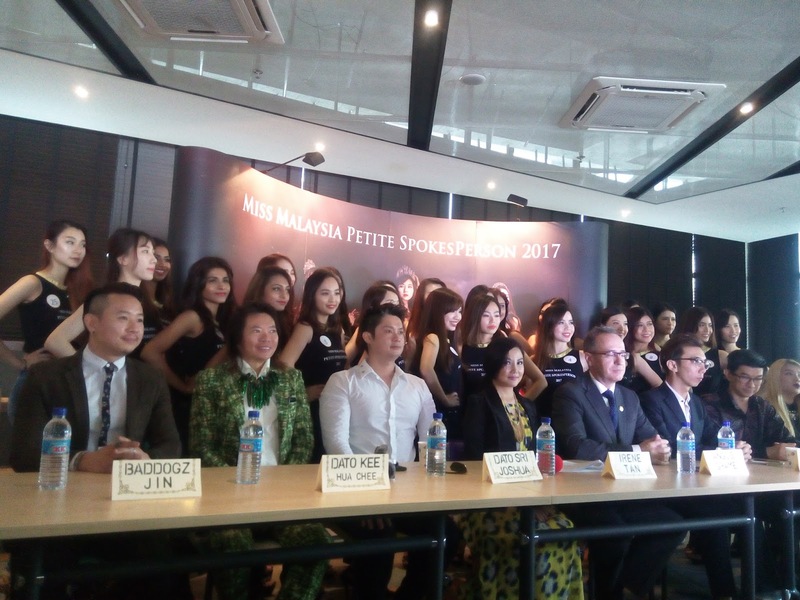 Thanks to Miss Malaysia Petite Spokesperson 2017 beauty peagent, small women could also feel beautiful! 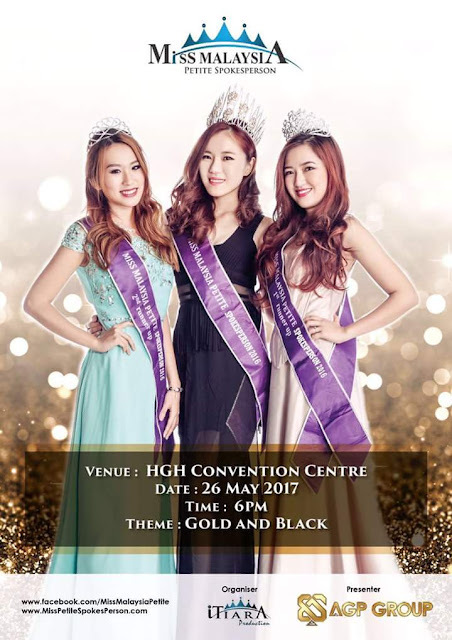 This would be the second year of the pageant where 25 finalist would compete in the grand finale on May 26, HGH Convention Centre. I can’t wait to see who will be crowning Miss Malaysia Petite Spokesperson 2017. Irene Tan, the organizing chairman of ITiara Production Sdn Bhd is the beauty and brains behind this pageant. Thanks to her, more small, petite women could also unleash their inner and outer beauty to empower the confidence of them in the entertainment industry. 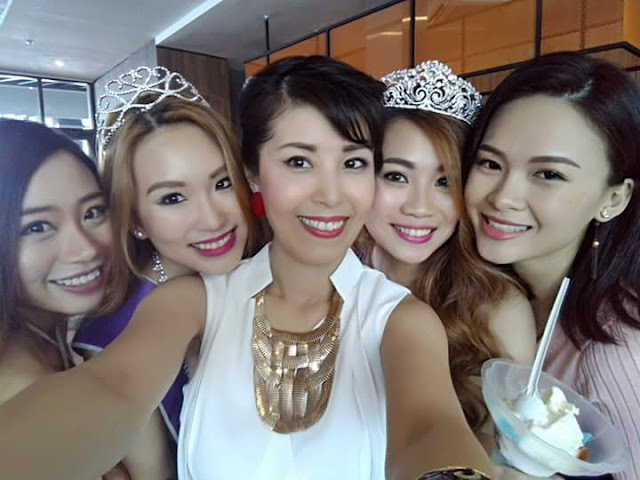 As petite women, I was definitely inspired by the speech Irene Tan gave about the meaning behind this beauty pageant. According to her, she says that usually the taller women would be chosen for bigger international pageants even when the some meets the height requirements. She also said that petite women are often looked down upon and we should inspire them to feel like they can achieve more. Are you small enough to become Miss Malaysia Petite Spokesperson ? The main criteria of joining this pageant is that maximum height for contestant must be below 167.5cm, between the age of 18 and 29years old and MUST BE SINGLE. And there goes my opportunity to be a beauty queen. In the Middle- Event Sponsor CEO of Younique Image Michelle Son taking picture with the lovely girls. Don't you agree that Michelle looks so beautiful , young and fashionable ? 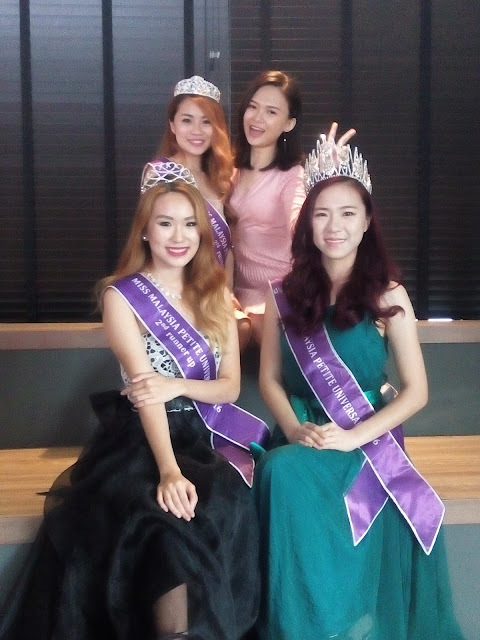 Surprisingly, according to Irene Tan, more have signed up for this year contest compared to last year meaning that more petite women are keen to be in the pageant. During the press conference , some of the audience were parents of the contestants which means parents are also very supportive of this pageant. NO CATWALK SHOWCASE OF CONTESTANTS IN BIKINI? Well, Yes. It is true. A beauty pageant contest of true women beauty without judging women in bikini. Most of all, what impressed me was that this year, there will be no swimsuit round for the finals but a lot of performances instead. Well, I salute Irene Tan for this as I myself do find it uncomfortable to wear bikini on stage as well. This type of pageant has never been done before and I am so proud of Irene for her courage to set a new trend for the beauty pageant. I am looking forward to see which classy intelligent woman who does not need to show their body in bikini to the world in order to be called a beauty queen. There will be 12 judges and more than 1000 special guests from various fields attending the event. Among the judges are supporting partners and sponsors are AGP GROUP of Companies, Laco, SE Wellness, SkinEye, Nego50, Lamode Artology, Baddogz Studio, Makeup Puzzle, Youunique Image Venture, Corporate Orient, Mun Hoo Photography, Timothy Teoh Photograhy, Benggy Yeong Photography, Taro Chat, Signature Fitness, Wata Time, Amber Chia Academy, Rentak Sejuta and International Beauty Health @ Education Association. Apart from that, other judges are Datuk Wenddi Anne and Vicky Chai. Fortunately, I bumped into Elaine Wong Schok Ying at the elavator before going for the event and had a small chat with her. She was surely friendly and nice. Later only I realized this friendly women is actually the the miss petite beauty queen 3rd runner up of 2016. She then introduced me to her other beauty queen friends and I was like starstrucked sandwiched between all these beautiful women. Some even thought I was their friend or contestant. Left(Elaine Wong, Jesyka Hiu, Me and Victoria Lynn. Apart from that, I realized these girls were actually very close to the event sponsor Michelle Son from Younique Image, Baddogz Jin from Baddogz Studio and Vince Hee from Makeup Puzzle. This proves that such Beauty pageant is not just about competition but also it bonds a great friendship between these beautiful ladies and their sponsors as well ! Ticket seat per person is RM500++ for the finals at HGH Convention Centre, Kuala Lumpur. There will be a Computer Generated Image (CGI) show done by an international award team as well as the performance involving 25 finalists. Now I am to ponder… What next? A Beauty pageant contest where beautiful women will be walking down the stage without makeup and high heels? After all, behind all these products to make a woman feel and look good, is not what the world would love to see. What the world would love to be inspired is a woman whom can represent the world, speak out the minds of the needy and inspire others about the goodness that would bring and make this world a better place. A woman with confidence even without having layers of cream to enhance her looks or heels to make her appeared taller. A women whom is comfortable with who she is and will never give up her dignity. That I would love to see!